Kattintson ide, hogy magyarul is elolvashassa. Have you ever wondered what happens between your important document and the translator after you leave them alone? What happens after you say “OK, go ahead” right until the moment the translator finally emerges from their den with a freshly written, tip-top translation? Well, of course, every professional translator has their secrets, how they prefer to do things or what their work style is. However, there are certain things you can be sure they will all do. So, come, peep behind the curtain with me and learn a bit about the secret life of translators. Although they have presumably seen it by the time they accept the project, the translator will most probably start by looking at the source text you sent them. What is it about? What is it going to be used for? Who is it written for? What challenges are ahead? If it is a company’s internal memo, they’ll need to treat it differently than if it is a cute online game for kids. Before starting any translation, I always try to imagine the situation in which the final text will be used. What is the purpose of it? Do I get to be a bit more creative or do I have to stick to the source text to the T? I find this step super important in my work as it helps me get into the right mindset for the given text. I enjoy this part of my work the most, maybe: learning new stuff every day about many different things! One day it is some obscure horse breed I’ve never heard of. Or a new equipment for a recycling facility. Research is an exciting and crucial part of a translator’s daily work as it helps them understand the source text better. Using dictionaries – lots of them! Yes, professional translators usually have an excellent grasp of their source language and of course, their mother tongue, too but they cannot know all the words in the world. And let’s not forget, dictionaries are a great way of double-checking nuances in meaning or the usage of words in various contexts. I have several bilingual and monolingual dictionaries, specialised dictionaries, my own glossaries I’ve put together over the years, thesauruses, orthographical rule books. I also regularly use bilingual documents for reference and there are excellent online dictionaries I utilise every day. Don’t get alarmed if the translator sends you a list of questions during your project! Usually it does not mean that they are incompetent. On the contrary – they just want to make sure they understand the source text completely, so that they can provide you with the best translation they can. Some terms might need to get clarified, events explained, images exchanged, or character descriptions given. Don’t forget, translators don’t ask questions to annoy you, sometimes they do need some guidance. Whenever I translate and questions start popping up, I do my own research first. However, it is possible that there will be queries I will need your help with, even if it is just to confirm my findings. A professional translator will always review and proofread their own work before returning it to you to minimise the chance of any mistakes slipping through. 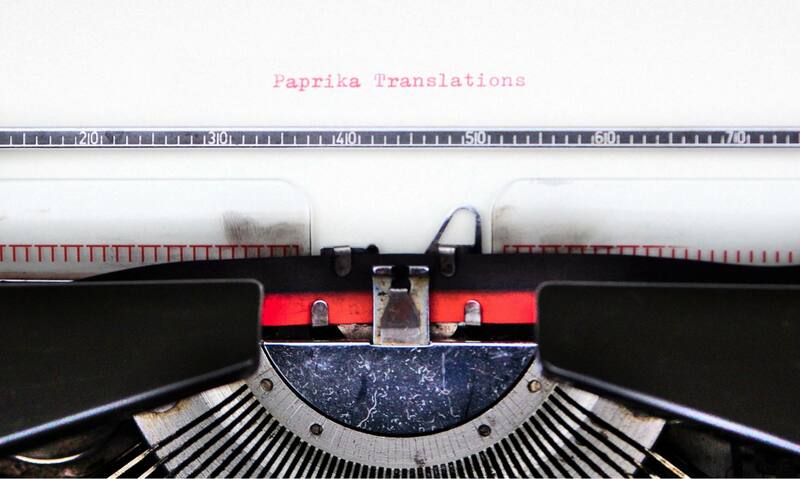 They’ll check that their translation is indeed an accurate translation of the source text, that it reads smoothly and fluently and there are no sneaky typos or missing commas. The more time they have for this step, the better the end result is! When I have the luxury of time, I like leaving a day or two between preparing the first draft and finalising the translation. This way I can have a look at the document with a fresh eye, after I let it rest a bit. You know, wood for the tree… Sometimes you get too involved in the details of a text, and then you need to take a step back to see the bigger picture. I hope you enjoyed this short blog post about the translator’s work. If you have any questions, please feel free to drop me a line via my contact page, I’ll be happy to answer! Previous PostPrevious What should I call you?